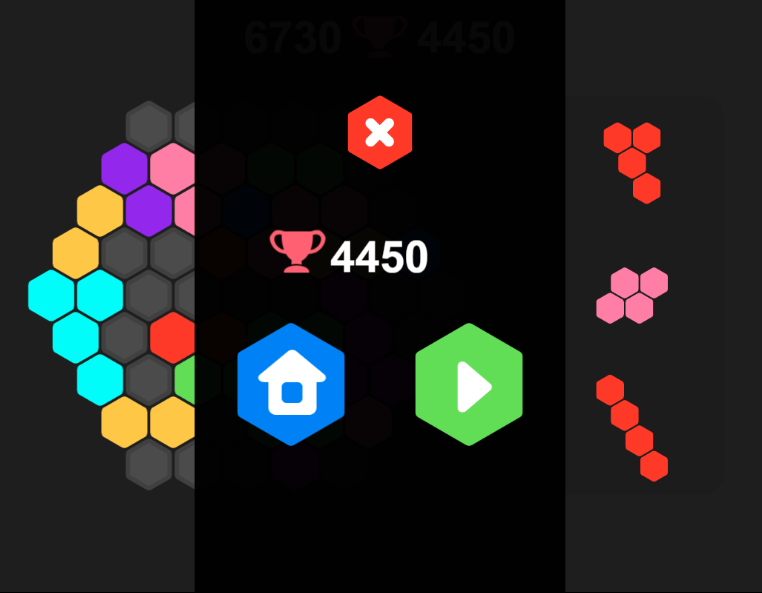 If you want to kill time and don’t know what to do or you just want to play a fun addictive puzzle game, Hex puzzle will be one of the greatest recommendations for you. 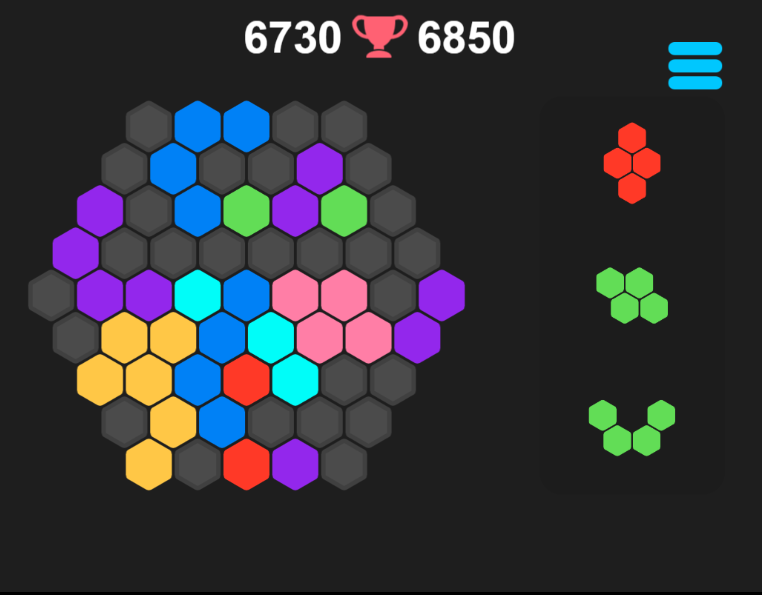 If you want to kill time and don’t know what to do or you just want to play a fun addictive puzzle game, Hex puzzle will be one of the greatest recommendations for you. With soothing sounds and gorgeous visual effects, the game brings amazing experiences to players for sure. 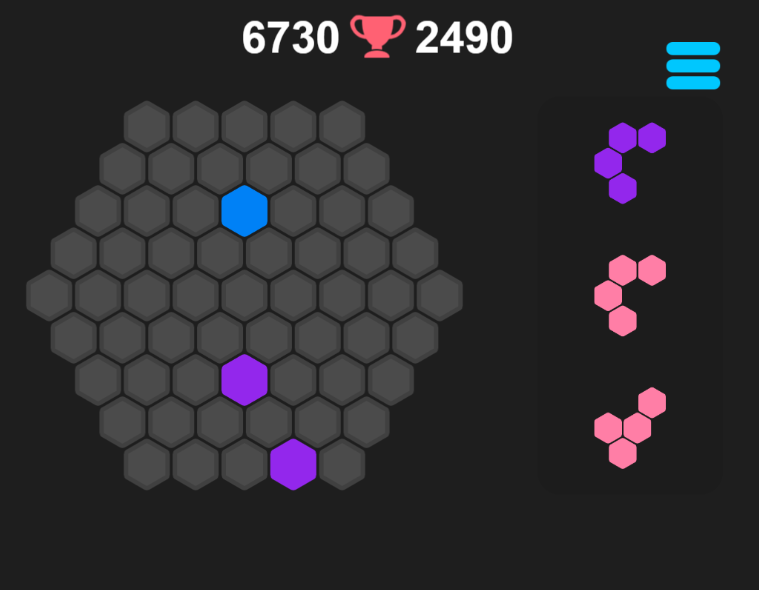 This game is not difficult to learn how to play but hard to master. You need to have an overlook and use strategy to get the high score. The goal is to make full rows of pieces and eliminate them from the playing field. It is better to remove several rows at once and you will earn bonus points. Time is free to play without limits. Will you gain high achievement? Let’s play and show us! Good luck and have fun! Good sound and nice design and smooth animation. The game comes without time limit. Full of challenges are given for players to conquer. Compatible with all devices: iPad, iPhone, Window phone, Android devices and all desktop browsers. 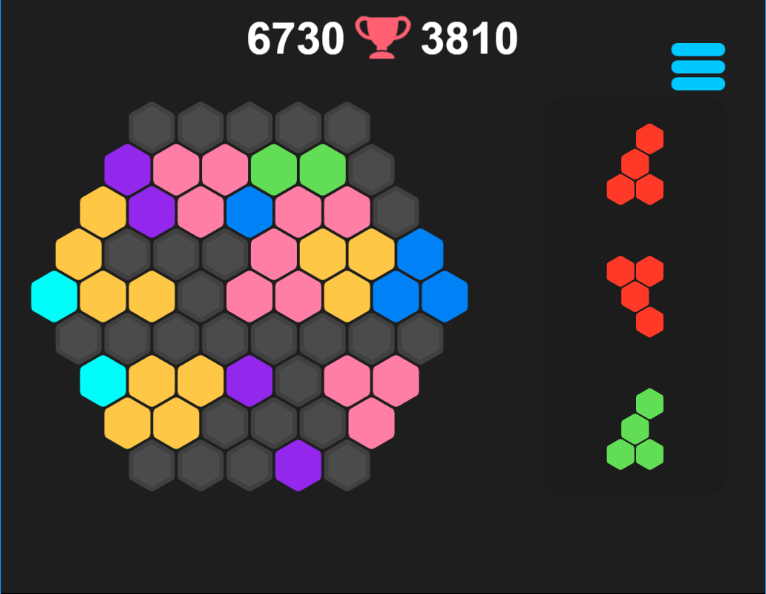 Play game online free, 123 puzzle games free for kids, hex puzzle games, free games online on 123addictinggames.com.